Everyone has the opportunity to make a difference in this world by doing something good that would benefit others. You don’t have to possess a thick wallet to be able to do this. All you need is a compassionate heart and an old car that you will not regret in giving away to support a worthy cause. By taking part in Goodwill’s Salt Lake City, Utah car donations program, you will amazingly turn your vehicle into a life-changing tool for fellow Americans who belong to the disadvantaged sector in society. They comprise people with disabilities, out-of-school youth, individuals who can’t find jobs due to lack of education and training, and others who are hindered from developing their full potential due to certain constraints. You’ll be in for a big surprise when you see how many lives will change for the better, thanks to your old car! If you’re looking to donate a car in Salt Lake City, Utah, choosing us is a decision you won’t regret. At Goodwill, we make sure that our donors receive utmost convenience and freed from any kind of tedious task. For instance, we won’t be requiring you to do anything in the donation process, not even a single paperwork. For supporting us and our less fortunate fellow citizens, we would like to repay you by giving you a rewarding experience in more ways than one. The only thing you’ll be doing during the entire donation process is to start it by contacting us. After informing us of your decision to participate in our Salt Lake City, Utah car donations program, you can sit back and relax and allow us to complete the process for you. You contact us either by calling us at our 24/7 toll-free hotline 866-233-8586 or filling out our online donation form. Provide us some details about the car you plan to donate such as its make and model, mileage, VIN, short description of its running condition, and title availability. We will then agree on a date, time, and place for the pickup. Expect a tow truck from an affiliate licensed towing company to be at the pickup site on schedule or, at the earliest, a day or two after your initial call. If you can’t be around at the time, just let us know where you’ve placed your car keys and title. We generate funds from your donated vehicle by putting it up for auction, with the proceeds going straight to a Goodwill organization in your city. With your old automobile donated to us, many unfortunate individuals will finally be able to get jobs to support themselves and their families. Within 30 days after the sale of your car, you will receive from us by mail your tax-deductible sales receipt. The amount shown on the receipt will serve as the basis of your tax deduction claim when you file your itemized federal income tax return for the next tax-filing season. Enjoy our quick and paperless donation process. Free and fast vehicle pickup at a time and place of your choice. Remove an unwanted vehicle on your property without paying a dime. Avoid the stress and frustration you’d subject yourself into if you try to sell your car. Get the opportunity to work with Goodwill, a reputable charity organization that has been serving underprivileged Americans for over a century. Stop wasting money on your automobile’s maintenance or repairs. Regain space for your parkway, yard or garage. Feel happy knowing that you’d be helping uplift lives with your simple vehicle donation. Did we just make you excited? 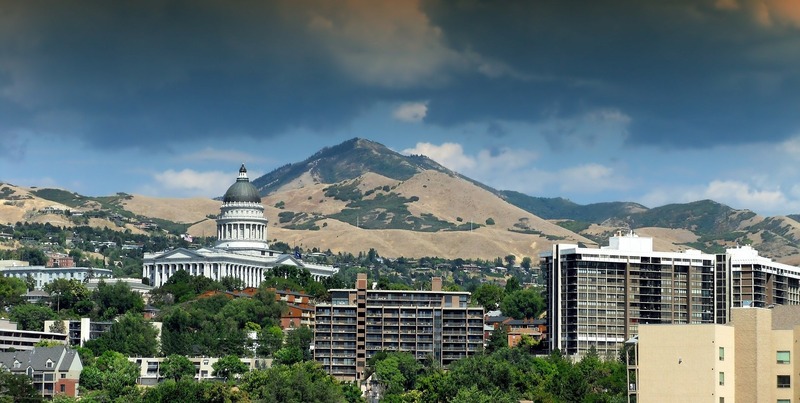 Feed that excitement now and take part in our Salt Lake City, Utah car donations program! Give us a call at 866-233-8586! Thinking about donating your old sedan to us? Not sure if its poor shape can qualify? Don’t worry, we’ll take it with open arms! At Goodwill, we’re not really particular when it comes to the vehicles our donors give us. In fact, we even accept those that are no longer running. If you’re planning to throw away a defective car, be our guest! For our Salt Lake City, Utah car donations program, we normally accept vehicles such as sedans, SUVs, trucks, motorbikes, scooters, trailers, campers, and motorhomes. We’re not only limited to land vehicles, mind you. We also welcome various types of boats and aircraft! Goodwill also accepts specialty vehicles such as motorized wheelchairs, riding lawnmowers, golf carts, ATVs, and snowmobiles. In case you might ask, we do accept multiple vehicle donations. If you’re the type of donor who believes that one donation isn’t enough, feel free to give us whatever your generous heart can offer! Just talk to us if you’re still unsure about your car’s physical or working condition. To know more about Goodwill, visit our FAQs page. Are you looking forward to empowering disadvantaged individuals in your city to enable them to improve their living conditions? Call us at 866-233-8586 and kick-start your Salt Lake City, Utah car donations program now!